Head into George’s and take the chill off with our Homemade Soups. We offer a rotating selection of soups plus our Homemade Chili every day. 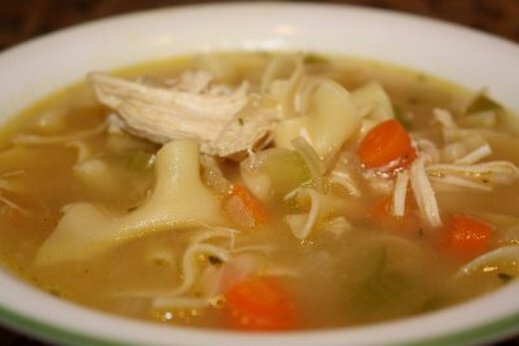 Soups we prepare include Chicken Noodle, Ham and Bean, Cream of Potato, Pazole, Lemon Chicken Rice, Clam Chowder, Chicken Gumbo, Lobster Bisque, Broccoli Cheese and Creamy Tomato. Add a Cup of Soup to your Sandwich or Burger for only $2.25! This entry was posted in Dinner, Lunch and tagged broccoli cheese, chicken gumbo, chicken noodle, clam chowder, cold, lobster bisque, pazole, potato, soup, tomato, warm up, winter by admin. Bookmark the permalink.